Venice travel guide for unfogettable holydays up to -70% off To take advantage of these offers, join now for free! Steeped in culture, history and urban beauty, Venice has naturally become a deeply desirable holiday destination. 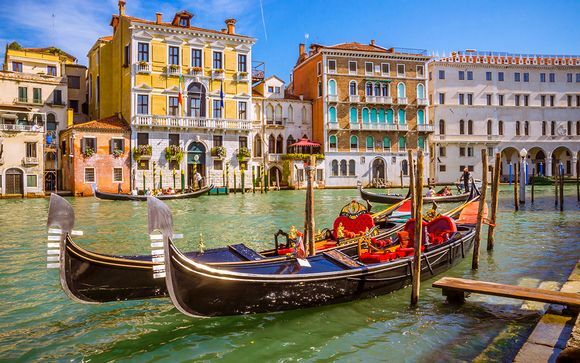 It is well-known for its absolutely gorgeous architecture, as well as its network of canals – most are acquainted with the archetypal image of the Venetian gondola. The food, accommodation and surroundings are all generally agreed to be stunning. Unfortunately, with massive beauty brings massive popularity, and this has its pros and cons. The other side of Venice’s reputation as a star destination is its reputation as a tourist trap and occasionally-exorbitant expense. 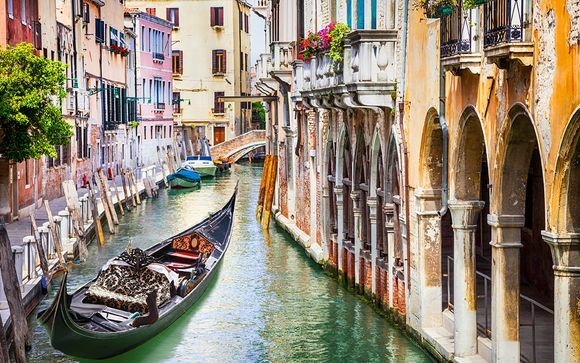 But travelling to Venice doesn’t have to fray your nerves and destroy your wallet – this guide will help you experience this beautiful Italian city the way it was supposed to be seen. 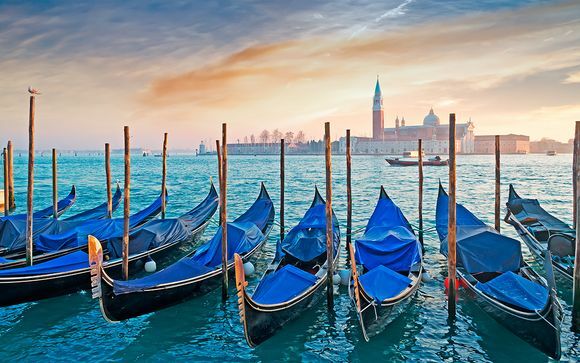 Venice is an absolutely magical place; we can help you enjoy it like you’re a local and see it in all its glory. The Floating Bookshop. An eccentric second-hand bookshop hidden away in the centre of Venice. It’s very possible to spend an entire afternoon rummaging through the piles of books for hidden treasure, and the shop alone is a destination (check out the book-filled bathtub). Even if you don’t speak Italian, there are plenty of obscure comics and art books to look through. It’s also home to a great many friendly cats who flock there when the water level elsewhere starts to rise. Not only is this the standard Venetian way of moving from place to place, but it’s also a lovely experience in and of itself. In the middle of the day, sitting near the front of the boat and feeling the cool breeze come up from the canals is gorgeously refreshing. You can inhale an awful lot of the Venice experience for the couple of euros it costs to grab an ice cream and sit on a canal bank after the last train has gone. Watch the city light up, and listen to the soft lapping of the water. If you or anyone in your family is an animal lover, you can pay about 5 euros to hold some bird seed in your hand and promptly be mobbed by adoring pigeons. This attraction isn’t for everyone, but if you love birds these are very tame and it can be a sweet photo opportunity. This is an absolutely beautiful (if somewhat macabre!) enclosed bridge, named because it sits en route to the city’s prison. The mourning sighs of prisoners on death row would be audible from outside. This gilded cathedral is absolutely dazzling – possibly the single most iconic piece of architecture in the whole city - and it has a museum on-site too. One of the most prominent sights on Venice’s skyline, located in the central San Marco Square, this is practically a must-see attraction. It’s free to visit, so if you don’t mind queuing for a bit it’s one of the cheapest things you can experience in the city. If you’re travelling around September, this highly prestigious film festival is a must-see. One of the legendary “big three” festivals, it has in the past seen the world premieres of Oscar-winning films, and also awards talented independent filmmakers. 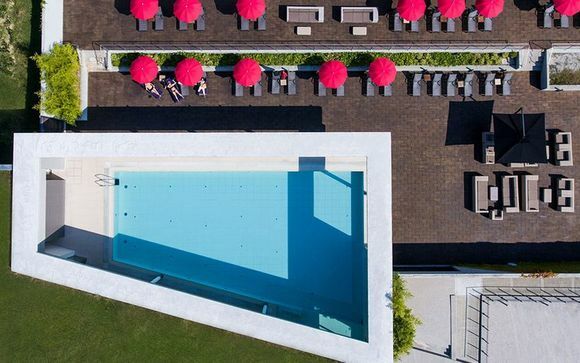 The surroundings in which it’s held are equally beautiful – perhaps unsurprisingly: the Lido, in the Venice Lagoon. Enjoy classic filmmaking in the middle of one of the world’s most beautiful cities. If you fancy a break from the architectural heft of the city centre, stop at this 20th-century collection of modern art housed in an 18th-century palace. Pore over some abstract paintings and take a walk round the sculpture garden. Almost continuous from the 13th century to the present (apart from a brief lull during the Austrian conquest of the 1700s), this half-month of festivities is possibly the most well-known attraction in all of Venice. Guests dress up elaborately in masks and impressive outfits, and the streets become filled with dancing revellers, parades and all the festivities you can imagine. When to go to Venice? Off-season is easily your best bet. In the height of summer, Venice is likely to be incredibly crowded and, because of the relative density of the buildings and few footpaths, it can get overwhelming. (Temperatures are also incredibly high.) 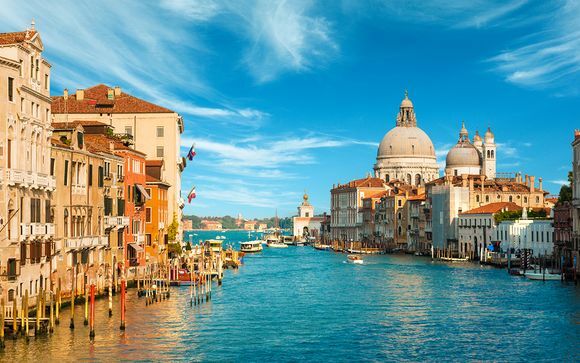 May and June are cheerful, sunny months before the heatwaves really kick in, and you can catch the Venice Film Festival if you go in September. The famous Carnival takes place in February and March; if you wish to make a special trip, go then, but it gets incredibly busy. Book well in advance. Winter in Venice is extremely cold but can offer some beautiful snow-covered landscapes. If you want to take advantage of the quieter streets, be sure to wrap up warm. Trains run from mainland Italy straight to Venice for relatively cheap. Depending on how far in advance you book, flights one way from London can also cost £60-£80. 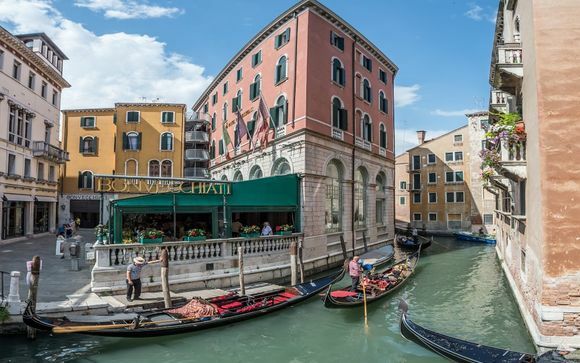 Venice Marco Polo is the nearest airport to the city centre; Treviso is the airport serviced by most low-cost airlines, and is about an hour and a quarter’s bus ride away. In general, it’s very easy to get into the main city via public transport. 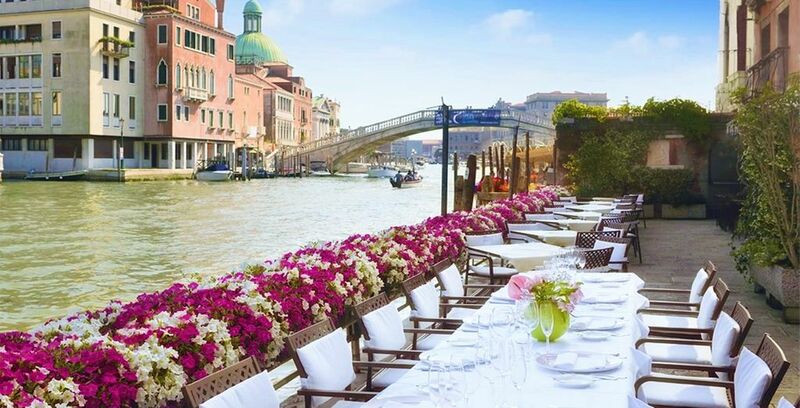 Voyage Privé Hotels are currently offering discounts of up to 78% on beautiful hotels and holidays in Venice. 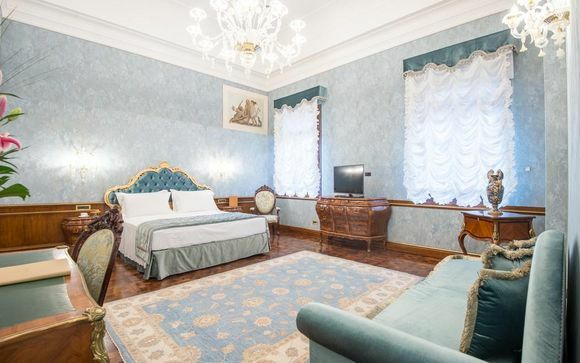 You can now lounge in a Venetian palazzo for 70% off, or, for a discount of about two thirds, relax on a private island. 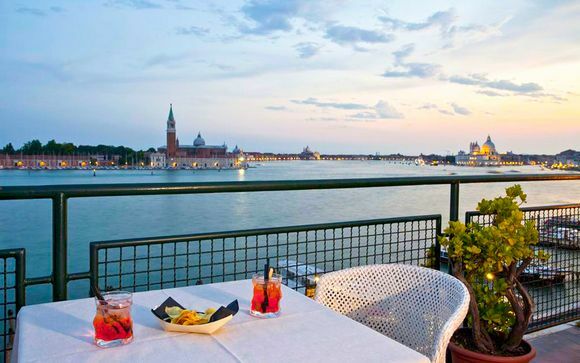 A romantic hotel in Venice bedecked in on-trend design. Guestrooms are noticeably bright and spacious. 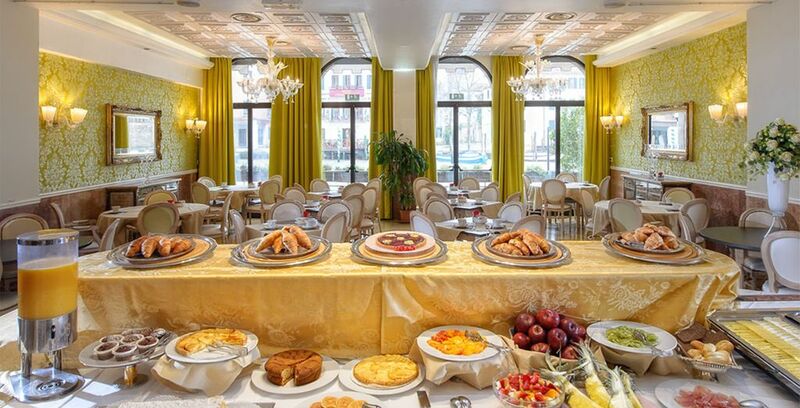 Located on the Grand Canal, near the train station and with easy access to ferries to Rialto and St. Mark's Square. The perfect place to start exploring Venice. 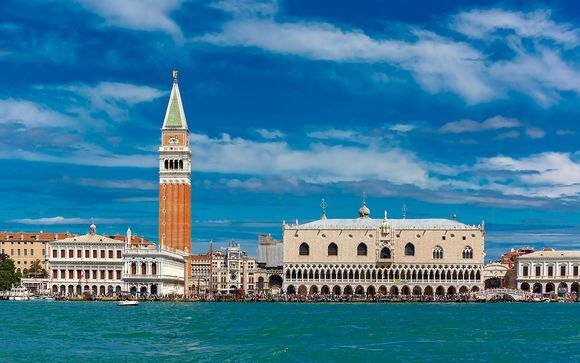 Venice is known to be a hub for culture: galleries, museums, and historic buildings like cathedrals and palaces. Its architecture has a unique style, known as Venetian Gothic, which combines Gothic with Byzantine influences. Other cultural points of note include the Commedia dell’Arte – a historical Italian genre of theatre – and, of course, the Biennale: one of the most prestigious arts festivals in the world. Enjoy wandering the Festival with categories for everything from dance to fine art. Aside from the Carnival, generally the customs in Venice are similar to that of mainland Italy. Football (soccer) is enormously popular, and it’s not uncommon to see children playing it in the streets. Men and women greet each other by shaking hands, the woman proffering her hand first; close friends are more likely to say “ciao” with a hug and a kiss on each cheek. Italy is well-known for its food, and people will often spend hours eating delicious meals and having a good conversation! In particular, try some delicious bufala mozzarella – a somewhat different, subtler beast from the mozzarella often found on UK/US pizzas. What to bring back from Venice? Masquerade masks can be bought from vendors’ stalls from 5 to 10 euros; they make beautiful display pieces. Second-hand shops like the Libreria Acqua Alta (see above) can be treasure troves for quirky souvenirs. Venice, like the rest of Europe, uses euros. Take a special debit card to keep your money safe – you can get ones pre-loaded with holiday money from your bank. Keep some extra cash squirrelled away in your hotel room. Pickpockets are a known problem; if it is stolen, a card can be cancelled or blocked, and you can then use your emergency cash without issue. Depending on how often you wish to eat out, you'll want to be spending about 30 - 50 euros a day, including a day pass on the water taxi. Venice is one hour ahead of GMT (London time). Mostly Italian; it’s worth knowing the very basics (which isn’t too difficult – it’s a Romance language, like French and Spanish), to make sure you can get your point across if you need to ask for help. However, the higher-than-average tourist traffic means that many people also speak English. How to travel in Venice? Especially if you’re doing a hefty amount of sightseeing in one day, it’s worth paying the 20 or so euros for a day pass on the water bus. Not only is this a relaxing way to travel and a sightseeing tour in and of itself, but it’s also an efficient and economical way to get around. Most of Venice’s roads are waterways, so you’ll be wanting to take one of these rather than walk a lot of the time. The roads are narrow, so nobody really drives; don’t bother with hiring a car. How long to stay in Venice? Venice is a perfect long-weekend destination. Alternatively, find accommodation nearby but not in the city itself (such as in Verona, which has its own attractions) and take the train in, which might offer more flexibility. It is, however, a wonderful place to stay for longer as well, especially if you’ve chosen plush accommodation in the actual city. If you’re taking a tour of Italy and visiting a few different destinations, Venice is practically a mandatory stop. Italy is famous for its food, including pizza, pasta, ice cream and the like (gelato is a subtly different dessert, which is an absolute must-try while you're there). Venice, however, has its own unique variation on this cuisine not found elsewhere in the country. Polenta is the most frequently-consumed foodstuff: a grain ground very finely so it tastes sweet (you might have eaten it in cakes before). Since Venice is so near the coast, seafood is popular as well. In particular, the small green moleche crab is very rare and enjoyed by many. Older kids might enjoy a walking tour, taking in all of Venice’s sights and sounds. On the opposite end of the patience spectrum, tickets to skip the queue into St Mark’s Basilica are very inexpensive, and the interior is undoubtedly elaborate and glittering enough to entertain even the most restless child. Failing that, go and see a mask-maker in San Polo – Ca’Macana runs classes for kids and adults to make a mask to take home! Alternatively, take a trip into Murano, the island of glass-blowing. There you can also find child-friendly art tours and activities, led by a real-life Venetian artist. 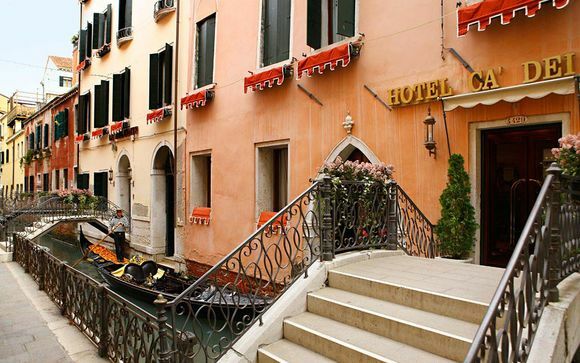 Afterwards, you can put your feet up and enjoy a gondola ride through the canals as a family. How to travel to Venice with your pets? Dogs are allowed almost everywhere, though they must wear a muzzle on public transport, and leads must be 1.5m or shorter. Many hotels allow dogs, including some of the poshest – but it’s up to a shop or restaurant owner whether they wish to allow pets on their premises. Local people do have dogs – and other pets – but there aren’t many green spaces, so keep that in mind if you plan on taking animals. That said, pets aren’t unwelcome; gondoliers occasionally like to bring their dogs on board! Almost all European countries mandate that pets are vaccinated for rabies before you can travel. If you’re going anywhere by Eurotunnel, you’ll also need to make sure your pet has preventative treatment for tapeworm. Pets no longer need blood tests to be allowed to travel into Europe. Venice is a gorgeous urban environment – it’s therefore like most cities, but with a much greater density of aesthetically pleasing architecture! Do be sure to pick up your own litter, though. Since there are so many canals instead of roads, it’s tough for city services to clean up rubbish from the water. Bring standard European plug adapters. Pack sunscreen – the sun reflecting off the water means a higher probability of sunburn, especially in the height of summer. 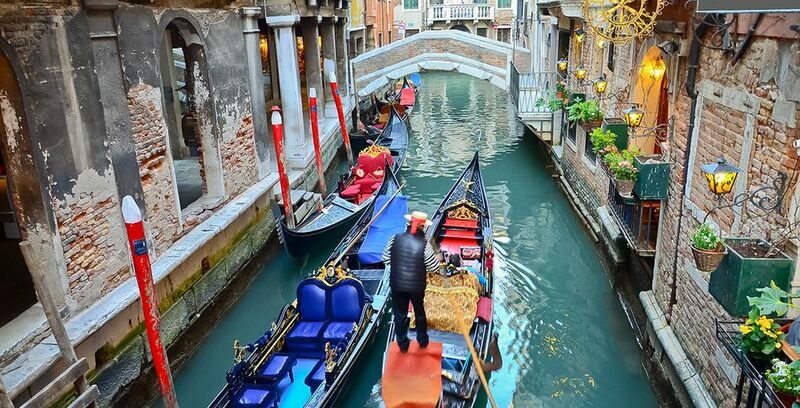 Visit more travel deals to Venice: holidays, romantic weekends, last minute, cruises, booking. Discover our free travel guides.